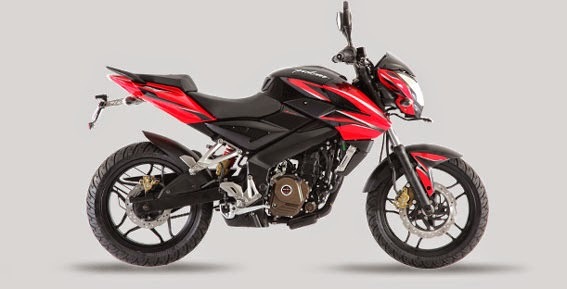 Specifications Bajaj Pulsar 200NS - Bajaj Pulsar 200NS born with a stylish design street fighter that looks more sporty and muscular, Bajaj Pulsar NS 200 also carries a new engine and technology from Kawasaki. 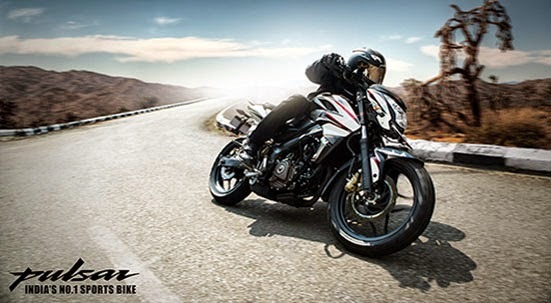 The Pulsar 200NS is loaded with technology that takes performance biking to the next level. 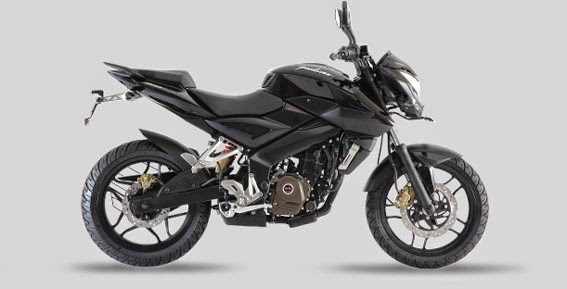 Touted as the next generation of motorcycles in India, the Pulsar 200NS comes equipped with a triple spark, 4 valve engine, liquid cooling, 6-speed gearbox, a perimeter frame, rear mono-suspension and petal disc brakes. 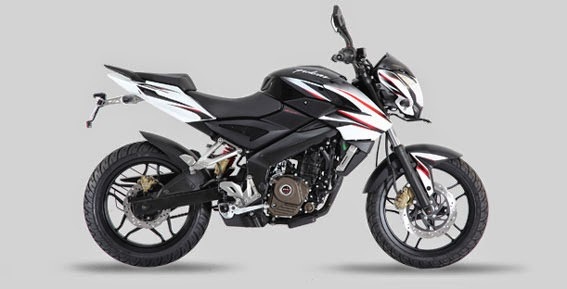 The Pulsar 200NS boasts of adrenaline pumping figures like 23.5Ps power and a 0 – 60 in 3.1 seconds. True to its name, i.e. “Naked Sports”, there is no doubt when you look at the Pulsar 200NS that it is one of the best looking street fighters around. The body has been sculpted with careful attention to detail, like the foot pegs or the hand grips or even the backlit switches. Every aspect of the bike has been crafted to ensure the aggressive and muscular look of the Pulsar is married with the next generation technology. Bajaj Pulsar 200NS armed with new liquid-cooled engine 1 - cylinder SOHC with 3-plug capacity of 200 cc. This machine is capable of producing power 32,52 PS at 9.500 rpm with a torque of 18,3 Nm at 8000 rpm. This new machine uses a 6-speed transmission and tank capacity through 12 liters. The weight of the Pulsar 200 NS 145 kg.